Notice: The Mexico Food Pantry will close Sept. 13 until a new site is found or built. Sorry for the inconvenience. Welcome to the Mexico Food Pantry. An ecumenical food pantry, we serve people living in the Mexico School District in Mexico, NY. We are committed to helping those in need. Poverty and hunger are always prevalent in our society, but the economic downturn in recent years has sent the need in our community skyrocketing. Working families in particular are increasingly finding themselves among the hungry. Many families are also forced to lead a fragile existence, routinely facing difficult choices, such as whether to pay for food and rent, utilities or healthcare. The Mexico Food Pantry offers a variety of foods. Click here for a menu of items. 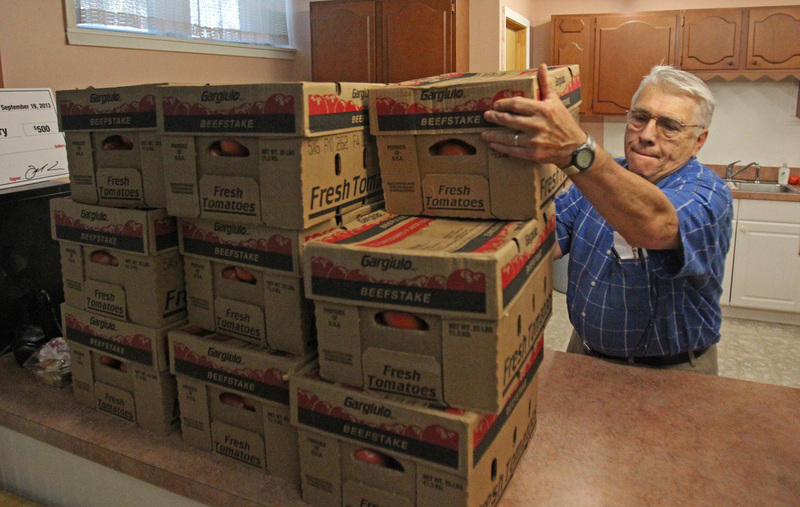 The Mexico Food Pantry receives deliveries from the Food Bank of Central New York. If you would like to help end hunger in our community by volunteering, or by donating food or money, visit our support page. If you or someone you know is in need of food assistance, visit our services page to learn more about our services and how we can help. The Mexico Food Pantry is located in the basement of St. Anne, Mother of Mary Church at 3352 Main Street, Mexico, NY. Visit here to view a larger map and to get directions to the Mexico Food Pantry. For assistance during pantry hours, call 315-963-0701.